Bullock was raised in Germany (Nuremberg) and Austria (Vienna and Salzburg) for 12 years, and grew up speaking German. She had a Waldorf education in Nuremberg. As a child, while her mother went on European opera tours, Bullock usually stayed with her aunt Christl and cousin Susanne, the latter of whom later married politician Peter Ramsauer. Bullock studied ballet and vocal arts as a child and frequently accompanied her mother, taking small parts in her opera productions. In Nuremberg, she sang in the opera's children's choir. Bullock has a scar above her left eye which was caused by a fall into a creek when she was a child. While she maintains her American citizenship, Bullock applied for German citizenship in 2009. Bullock had two record highs in 2009. The romantic comedy The Proposal, with Ryan Reynolds, grossed US$317 million at the box office worldwide which made it her fourth-most successful picture to date. 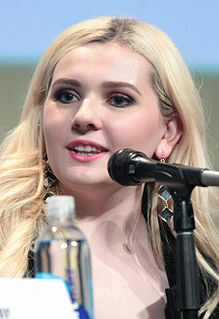 She received her third Golden Globe Award nomination for Best Performance by an Actress in a Motion Picture – Musical or Comedy. The drama The Blind Side opened at number two behind New Moon with US$34.2 million, making it her second-highest opening weekend ever. The Blind Side grossed over US$309 million, making it her highest-grossing domestic film, her fourth-highest-grossing film worldwide, and the first one in history to pass the US$200 million mark with only one top-billed female star. Bullock had initially turned down the role of Leigh Anne Tuohy three times due to discomfort in portraying a devout Christian. She was awarded the Academy Award, Golden Globe Award, Screen Actors Guild Award and Critics' Choice Movie Award for Best Actress. The Blind Side also received an Academy Award for Best Picture nomination. 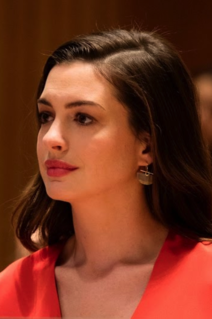 While Bullock was in Massachusetts on April 18, 2008, shooting the film The Proposal, she and her then-husband Jesse James were in a vehicle that was hit head-on at moderate speed by a drunk driver. Vehicle damage was minor and there were no injuries. ^ Hawkes, Rebecca (August 5, 2014). "Sandra Bullock is Hollywood's highest paid actress" – via www.telegraph.co.uk. ^ Goldman, Lea; Blakeley, Kiri (January 18, 2007). "The 20 Richest Women in Entertainment". Forbes. Retrieved January 6, 2010. ^ Lewis, Hilary (April 22, 2015). "Sandra Bullock Named People Magazine's 'Most Beautiful Woman'". The Hollywood Reporter. Retrieved April 22, 2015. ^ "Sandra Bullock: Snapshot". People. Retrieved February 14, 2016. ^ Sandra Bullock genealogy. RootsWeb. Ancestry.com. Retrieved June 27, 2013. ^ "Sandra Bullock Biography". Film Reference. Retrieved March 5, 2010. ^ "Sandra Bullock's father, John W. Bullock, dies at 93". TODAY.com. Retrieved 2019-01-08. ^ "Ten Things You Never Knew About Sandra Bullock". digitalspy.com. Retrieved 10 January 2019. ^ a b "Sandra Bullock's Army veteran father dead at 93". Fox news. September 20, 2018. Retrieved 12 January 2019. ^ Hamm, Liza (September 30, 2009). "Sandra Bullock: Mom was the life of the party". People. Retrieved April 14, 2010. ^ Chiu, Alexis (March 26, 2007). "Sandra Bullock: 'I have my family'". People. Retrieved April 14, 2010. ^ a b "Sandra Bullock- Biography". Yahoo! Movies. Archived from the original on January 19, 2012. Retrieved June 30, 2013. ^ a b "Sandra Bullock". Die Welt. April 30, 2008. Retrieved December 7, 2016. ^ a b "Sandra Bullock applying for German passport". The Local. June 26, 2009. Retrieved January 16, 2014. ^ "Ehemalige Waldorfschülerin gewinnt Oscar". Die Landesarbeitsgemeinschaft der Freien Waldorfschulen Berlin-Brandenburg. Archived from the original on December 8, 2010. Retrieved January 16, 2014. ^ a b "Sandra Bullock Biography". Biography.com. Retrieved 12 January 2019. ^ "Die Nette von nebenan" (in German). Kino.de. Archived from the original on May 14, 2005. Retrieved July 15, 2006. ^ Zoe, Bauer. "Celebrities with Scars: Famous Blemishes and the Stories Behind Them". Archived from the original on November 12, 2013. Retrieved October 15, 2012. ^ "Live! With Kelly and Michael". Live! With Kelly and Michael. Season 1. June 27, 2013. ABC. ^ "Buccaneer". East Carolina University yearbook. 1986 (1). 1986. Retrieved October 23, 2014. ^ "Sandra Bullock". Empire online. Retrieved 31 December 2018. ^ "Review/Theater; Ketron's 'No time Flat'". New York Times. Retrieved 10 January 2019. ^ "FLASHBACK: Sandra Bullock Was Charming as Ever in 1989". ET Online. September 11, 2015. Retrieved 11 January 2019. ^ "Yes, These Movies Became TV Shows...and it Didn't Work Out". E!. Retrieved November 4, 2015. ^ "Working Girl". Entertainment Weekly. April 27, 1990. Retrieved November 4, 2015. ^ "She's So Hollywood--and Proud of It : Movies: 'Demolition Man's' Sandra Bullock says she's as 'shallow as anybody,' but don't let her wackiness fool you. There's a method to her madness". LA Times. December 7, 1993. Retrieved 11 January 2019. ^ Svetkey, Benjamin (July 22, 1994). "Overdrive". Entertainment Weekly. Retrieved 9 April 2009. ^ "Speed (1994)" – via www.rottentomatoes.com. ^ "Speed". Box Office Mojo. Retrieved October 20, 2015. ^ a b c "Sandra Bullock". Box Office Mojo. Retrieved October 20, 2015. ^ "While You Were Sleeping (1995)" – via www.rottentomatoes.com. ^ Owen Gleiberman (August 4, 1995). "'The Net' review at EW". Retrieved 23 August 2010. ^ "The Net (1995) - Box Office Mojo". www.boxofficemojo.com. ^ "A Time to Kill (1996) - Box Office Mojo". www.boxofficemojo.com. ^ "Sandra regrets making Speed 2". Nation. ^ "Hope Floats (1998) - Box Office Mojo". www.boxofficemojo.com. ^ Berardinelli, James (1998). "Review: Hope Floats". ReelViews. Archived from the original on February 5, 2007. ^ "Thank the '90s for Practical Magic". theatlantic.com. October 16, 2018. Retrieved 10 January 2019. ^ "Practical Magic (1998) - Financial Information". The Numbers. ^ "Forces of Nature (1999) - Box Office Mojo". www.boxofficemojo.com. ^ "Forces of Nature - Movie Reviews - Rotten Tomatoes". www.rottentomatoes.com. ^ "Miss Congeniality (2000)". Box Office Mojo. Retrieved October 15, 2013. ^ "28 Days" – via www.imdb.com. ^ Ebert, Roger (April 19, 2002). "Murder by Numbers". rogerebert.com. Retrieved December 14, 2015. ^ "Sandra Bullock and Hugh Grant Talk About 'Two Weeks Notice'". About.com. Retrieved July 8, 2013. ^ "Two Weeks Notice (2002) - Box Office Mojo". 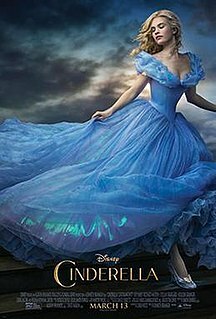 www.boxofficemojo.com. ^ Shor, Donna (November 2002). "Around Town". Washington Life Magazine. Archived from the original on December 25, 2003. Retrieved February 5, 2007. ^ "George Lopez". Variety.com. April 9, 2002. Retrieved 12 January 2019. ^ Giles, Jeff (June 18, 2009). "Total Recall: Sandra Bullock's Best Movies". IGN Entertainment. p. 2. Retrieved January 6, 2010. ^ Hornaday, Ann (March 24, 2005). "Miss Congeniality' Sequel Flunks the Talent Competition". The Washington Post. Retrieved August 11, 2012. ^ "The Crystal + Lucy Awards®". ^ Topel, Fred. "Speed Demons". The Wave Magazine. Archived from the original on December 16, 2006. Retrieved June 17, 2006. ^ "The Lake House (2006) - Box Office Mojo". www.boxofficemojo.com. ^ "Infamous". Rogerebert.com. October 12, 2006. Retrieved 12 January 2019. ^ Whipp, Glenn (January 20, 2007). "Dead or alive?". San Bernardino County Sun. Archived from the original on September 27, 2007. Retrieved February 5, 2007. ^ "See Sandra Bullock! : Gorgeous star has weird visions in so-so mystery Premonition". The New York Observer. Retrieved 31 December 2013. ^ "Artistry signs Sandra Bullock". thetruthaboutamway.com. January 25, 2008. Retrieved July 8, 2013. ^ "Sandra Bullock". goldenglobes.com. Archived from the original on December 16, 2013. Retrieved October 18, 2014. ^ "The Blind Side (2009)". Box Office Mojo. Amazon.com. February 21, 2010. Retrieved February 28, 2010. ^ Donaldson, Catherine (January 5, 2010). "Sandra Bullock Makes History!". People. Retrieved March 5, 2010. ^ Swartzendruber, Jay (November 17, 2009). "Believers Walk the Talk in The Blind Side". Crosswalk.com. Retrieved March 8, 2010. ^ "Life begins at 45: Bullock wins best actress award at Golden Globes". The Independent. London. January 19, 2010. Archived from the original on January 22, 2010. Retrieved January 28, 2010. ^ "The 82nd Academy Awards (2010) Nominees and Winners". Academy of Motion Picture Arts and Sciences. Archived from the original on October 6, 2014. ^ Dobuzinskis, Alex (March 7, 2010). "Oscar hopeful Sandra Bullock crowned worst actress". Reuters. Retrieved March 8, 2010. ^ "Extremely Loud & Incredibly Close (2011)". The New York Times. December 22, 2011. Retrieved June 20, 2013. ^ "Extremely Loud and Incredibly Close". Metacritic. Retrieved June 20, 2013. ^ "Teen Choice Awards 2012: Complete Winners List". MTV. Retrieved November 4, 2015. ^ Chitwood, Adam. "First Trailer for THE HEAT Starring Sandra Bullock and Melissa McCarthy". Collider.com. Retrieved June 20, 2013. ^ "The Heat (2013)". Rotten Tomatoes. Retrieved August 30, 2013. ^ "The Heat". Metacritic. Retrieved June 30, 2013. ^ "The Heat (2013)". Box Office Mojo. Retrieved October 23, 2013. ^ a b "GRAVITY Reviews Praise Sandra Bullock and George Clooney's Performances". Collider.com. Retrieved August 29, 2013. ^ "World Space Week 2013 Highlights | World Space Week". www.worldspaceweek.org. Retrieved 20 September 2017. ^ "'Gravity' director's new film 'Roma' is one of the best Netflix originals of all time, critics say". newstimes.com. Retrieved 31 December 2018. ^ "The Early Reviews of 'Gravity' Call It Visceral and Hugely Entertaining". Movies.com. Retrieved August 29, 2013. ^ a b Chan, Stephanie (August 28, 2013). "'Gravity': What the Critics Are Saying". The Hollywood Reporter. Retrieved August 29, 2013. ^ McCarthy, Todd (August 28, 2013). "Gravity: Venice Review". The Hollywood Reporter. Retrieved April 2, 2015. ^ Holloway, Clint. "'Gravity' Takes Off With Critics: A Recap of the Reviews So Far". IndieWire. Retrieved August 29, 2013. ^ "Early Buzz: Alfonso Cuarón's 'Gravity' Stuns Critics at Venice". /Film. Retrieved August 29, 2013. ^ "Sandra Bullock Has the Best Day Ever as 'Gravity' Lifts Off in Venice". Yahoo! Movies. Retrieved August 29, 2013. ^ "Early 'Gravity' Reviews Praise Alfonso Cuaron With Dropped Jaws". Filmschoolrejects.com. August 28, 2013. Retrieved August 29, 2013. ^ Feinberg, Scott (January 17, 2014). "Sandra Bullock on 'Gravity' Oscar Nom: 'I've Just Gotten Better at Not Picking Crap'". The Hollywood Reporter. Retrieved October 20, 2015. ^ Gray, Tim (December 12, 2013). "'12 Years a Slave,' 'American Hustle' Lead Golden Globes Nominations". Variety. Retrieved October 20, 2015. ^ Barraclough, Leo (January 7, 2014). "Battle for BAFTAs: 'Gravity,' '12 Years,' 'Hustle,' 'Phillips' in Kudos Fight". Variety. Retrieved October 20, 2015. ^ McNary, Dave (January 16, 2014). "Oscar Nominations Backed Up by SAG Choices". Variety. Retrieved October 20, 2015. ^ Gray, Tim (December 16, 2013). "Critics Choice Awards: '12 Years,' 'American Hustle' Earn 13 Nominations Each". Variety. Retrieved October 20, 2015. ^ "Box Office Mojo – Movie Index, A-Z". boxofficemojo.com. ^ "Minions (2015)". Box Office Mojo. Amazon.com. Retrieved August 31, 2015. ^ D'Alessandro, Anthony; D'Alessandro, Anthony (November 3, 2015). "Star System 'Crisis' Dings Warner Bros.: Monday Box Office Postmortem". ^ "Ocean's 11: Sandra Bullock will lead an all-female reboot". ^ "Ocean's 8 (2018) - Box Office Mojo". www.boxofficemojo.com. ^ "Sandra Bullock is a Bright Spot in 'Bird Box'". Slash Film. Retrieved November 13, 2018. ^ Debruge, Peter. "Sandra Bullock in 'Bird Box'". Variety. Retrieved November 13, 2018. ^ Machado, Yolanda. "Sandra Bullock Battles Her Fears in Thoughtful Thriller". The Wrap. Retrieved November 13, 2018. ^ "Top 100 stars in leading roles at the worldwide box office". The Numbers. Nash Information Services. Retrieved May 4, 2017. ^ "Top 100 stars in leading roles at the domestic box office". The Numbers. Nash Information Services. Retrieved May 4, 2017. ^ "Following Her Fears to Greater Heights". The New York Times. September 6, 2013. Retrieved July 25, 2014. ^ "Beautiful Through the Years". People. 47 (18). May 12, 1997. Retrieved October 20, 2015. ^ "The 50 Most Beautiful People in the World 1999". People. 51 (17). May 10, 1999. Retrieved October 20, 2015. ^ "AmIAnnoying.com – Empire Magazine's Top 100 Movie Stars ". amiannoying.com. Retrieved 24 February 2018. ^ Goldstein, Gary (February 19, 2010). "Sandra Bullock". Los Angeles Times. Retrieved October 20, 2015. ^ "The 2010 TIME 100: Sandra bullock". Time. April 29, 2010. Retrieved July 24, 2014. ^ Pizzello, Chris (December 27, 2010). "Sandra Bullock: Woman of the Year". People. 74 (24). pp. 80–81. Retrieved March 7, 2011. ^ "PEOPLE's Most Beautiful 2011". People. April 13, 2011. Retrieved August 11, 2011. ^ "Sandra Bullock enshrined in Hollywood history". CBS News. September 26, 2013. Retrieved July 25, 2014. ^ "The Hollywood Reporter's 2013 Women in Entertainment Power 100". The Hollywood Reporter. Retrieved July 24, 2014. ^ "This Week's Cover: Our Entertainers of the Year!". Entertainment Weekly. November 25, 2013. ^ "Celeb 2014: Most Powerful Actresses". Forbes. Retrieved July 24, 2014. ^ "Sandra Bullock Receives Decade of Hotness Award From Her 3 Favorite Men". Yahoo. June 8, 2014. Retrieved July 25, 2014. ^ "Sandra Bullock is PEOPLE's World's Most Beautiful Woman". Entertainment weekly. Retrieved August 7, 2015. ^ Hebert, Katie Kuehner (March 10, 2010). "And the Award for Best Entrepreneur Goes to Sandra Bullock". Retrieved August 30, 2013. ^ "Bullock Fires Back at Million Dollar Baby Reports". Contactmusic.com. March 8, 2005. Retrieved August 30, 2013. ^ "Sandra Bullock". Yahoo!. Archived from the original on November 30, 2006. Retrieved February 5, 2007. ^ "Bullock's prod'n co. a 'learning experience'". Variety. Retrieved October 18, 2014. ^ "Drop in Sandra Bullock's Austin Restaurants". July 25, 2013. Archived from the original on August 5, 2013. Retrieved August 30, 2013. ^ "Walton's Fancy and Staple". The Austin Chronicle. July 17, 2009. Retrieved August 30, 2013. ^ Raney, Nicole (September 8, 2015). "Sandra Bullock's popular Austin bistro closing its doors". KVUE. Retrieved January 24, 2016. ^ "Sandra Bullock donates $1 mil for tsunami". CNN. January 2005. Archived from the original on January 7, 2005. ^ "Sandra Bullock sends million for Japan". CNN. March 18, 2011. ^ Heyman, J.D. "Sandra Bullock Donates $1 Million to Help Hurricane Relief Effort". People. Retrieved August 31, 2017. ^ "Sandra Bullock Urges Fans to Help in Gulf Oil Spill". Us Weekly. Archived from the original on July 23, 2010. ^ "Giving Hearts of Hollywood". listal.com. Retrieved June 20, 2013. ^ "Sandra Bullock receives an award for her support to charities". .theyarenews.com. May 14, 2012. Archived from the original on May 4, 2015. Retrieved July 25, 2014. ^ "Sandra Bullock Wins Favorite Humanitarian at 2013 People's Choice Awards". US Weekly. January 10, 2013. Retrieved July 25, 2014. ^ Cohen, Sandy (March 18, 2010). "Private drama plagues Oscar winner Sandra Bullock". Boston Globe. Retrieved June 5, 2010. ^ "Praising Private Ryan". The Sydney Morning Herald. April 27, 2007. Retrieved June 5, 2010. ^ "Sandra Bullock Custody Battle". National Ledger. November 7, 2009. Retrieved November 19, 2009. ^ "Jesse James's Alleged Mistress No. 1 to 'Clear the Air' Soon". People. March 30, 2010. Retrieved March 31, 2010. ^ "Woman No. 3: I 'Made a Mistake' with Jesse James". People. March 30, 2010. Retrieved March 31, 2010. ^ "A Fourth Woman Alleges Affair with Jesse James". People. March 31, 2010. Retrieved March 25, 2010. ^ "Sandra Bullock Pulls Out of London Premiere". People. March 17, 2010. Retrieved March 31, 2010. ^ "Without Sandra Bullock, Blind Side's Berlin Premiere Canceled". People. March 23, 2010. Retrieved March 31, 2010. ^ a b "Jesse James Apologizes to Sandra Bullock and His Children". People. March 18, 2010. Retrieved March 18, 2010. ^ "Jesse James Checks into Treatment Facility". People. March 30, 2010. Retrieved March 31, 2010. ^ "EXCLUSIVE: Sandra Bullock Has Filed for Divorce". People. April 28, 2010. Retrieved April 28, 2010. ^ "Sandra Bullock's Divorce Likely Won't Be Messy". People. April 28, 2010. Retrieved April 28, 2010. ^ Abrams, Natalie (June 28, 2010). "Sandra Bullock, Jesse James Divorce FInalized". TV Guide. ^ a b "World Exclusive: Meet Sandra Bullock's Baby Boy!". People. April 28, 2010. Retrieved April 28, 2010. ^ "Sandra Bullock adopts second child". USA Today. December 2, 2015. ^ "Accident Brief DEN01FA030". NTSB. December 2000. ^ "Sandra Bullock's Car Hit Head-On". WCVB TV Boston. April 19, 2008. Archived from the original on April 21, 2008. Retrieved April 19, 2008. ^ "Sandra Bullock Gets Restraining Order Against Thomas James Weldon". HuffPost. Associated Press. May 25, 2011. Archived from the original on August 23, 2010. Retrieved August 30, 2013. ^ Schatz, Amy (June 24, 2001). "Actress Bullock sues over Texas land deal". Chicago Tribune. Knight Ridder/Tribune. Retrieved September 13, 2014. ^ Elsworth, Catherine (October 16, 2004). "Actress wins $7m for builder's shoddy work". The Daily Telegraph. London. Retrieved September 13, 2014. ^ "Builder For Sandra Bullock Can't Revive Malpractice Suit". ^ Lee, Ken (April 26, 2007). "Cops: Woman Tried to Kill Sandra Bullock's Husband — Jesse James, Sandra Bullock". People. Retrieved April 18, 2010. ^ Battistelli, L'Oreal (May 16, 2007). "Bullock stalker put on notice". Huntington Beach Independent. Retrieved August 30, 2013. ^ "Sandra Bullock fan charged with stalking". MSNBC. Associated Press. May 17, 2007. ^ "Stalker denies attempt to run over Sandra Bullock's husband". LondonNet. Retrieved April 18, 2010. ^ Chernikoff, Leah (November 13, 2008). "Sandra Bullock stalker Marcia Valentine sentenced to three years probation". Daily News. New York. Retrieved June 4, 2010. ^ Etehad, Melissa. "Man convicted of stalking Sandra Bullock kills himself during SWAT standoff". latimes.com. Jennifer Joanna Aniston is an American actress, film producer, and businesswoman. The daughter of actors John Aniston and Nancy Dow, she began working as an actress at an early age with an uncredited role in the 1987 film Mac and Me. After her career grew successfully in the 1990s, Aniston has remained a well-known public figure and established herself as one of the leading and highest-paid actresses in Hollywood as of 2018. Renée Kathleen Zellweger is an American actress and film producer. 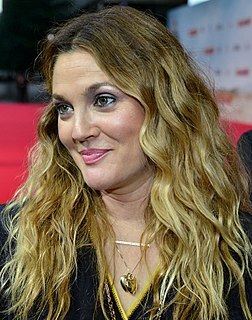 She has received critical acclaim and numerous accolades, including an Academy Award, a BAFTA Award, three Golden Globe Awards, and three Screen Actors Guild Awards. She established herself as one of the highest-paid Hollywood actresses by 2007, and was named Hasty Pudding's Woman of the Year in 2009. Paul Samuel Feig is an American actor, film director, producer and screenwriter. He is best known for directing films starring frequent collaborator Melissa McCarthy, including Bridesmaids (2011), The Heat (2013), Spy (2015), and Ghostbusters (2016). He also directed A Simple Favor (2018). The Blind Side is a 2009 American biographical sports drama film written and directed by John Lee Hancock, based on the 2006 book The Blind Side: Evolution of a Game by Michael Lewis. The storyline features Michael Oher, an offensive lineman who was drafted by the Baltimore Ravens of the National Football League (NFL). The film follows Oher from his impoverished upbringing, through his years at Wingate Christian School, his adoption by Sean and Leigh Anne Tuohy, to his position as one of the most highly coveted prospects in college football, then finally becoming a first-round pick of the Ravens. Gravity is a 2013 science fiction thriller film directed by Alfonso Cuarón, who also co-wrote, co-edited and produced the film. It stars Sandra Bullock and George Clooney as American astronauts who are stranded in space after the mid-orbit destruction of their Space Shuttle, and their attempt to return to Earth. Minions is a 2015 American 3D computer-animated comedy film, serving as a spin-off prequel to the Despicable Me franchise. Produced by Illumination Entertainment for Universal Pictures, it was directed by Pierre Coffin and Kyle Balda, written by Brian Lynch, and produced by Chris Meledandri and Janet Healy. The film stars the voices of Coffin, Sandra Bullock, Jon Hamm, Michael Keaton, Allison Janney, Steve Coogan, and Jennifer Saunders, with the narration provided by Geoffrey Rush. It was first foreshadowed in the end credits of Despicable Me 2 (2013), where Kevin, Stuart, and Bob, three of the Minions and the film's main characters, are seen auditioning for the film. Gravity is a 2013 science-fiction thriller film directed, co-produced, co-written, and co-edited by Alfonso Cuarón. The film's musical score was composed by Steven Price, with the cinematography provided by Cuarón's longtime collaborator, Emmanuel Lubezki. 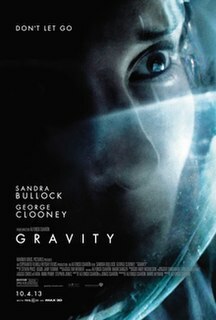 The film stars Sandra Bullock and George Clooney as astronauts involved in the mid-orbit destruction of a space shuttle and their attempt to return to Earth. Our Brand Is Crisis is a 2015 American comedy-drama film directed by David Gordon Green and written by Peter Straughan. Based on the 2005 documentary film of the same name by Rachel Boynton, it is a fictionalized account of the involvement of American political campaign strategists Greenberg Carville Shrum (GCS) in the 2002 Bolivian presidential election. The film stars Sandra Bullock, Scoot McNairy, Billy Bob Thornton, Anthony Mackie, Ann Dowd and Joaquim de Almeida.